Mornings are not my prime time and usually my makeup routine usually consist of throwing on some power before I walk out of the door. It is only once I get to work (and wake up a little more) that I begin to regret the rush job, especially once I am off of work and moving on to fore festive activities. No one wants to sacrifice looking nice just because we are short on time. My last trip to Chic Esthetiq gave me a glimpse into a way to look great while on the go and to keep the look as fabulous throughout the day with Jane Iredale Makeup. Ingredients: By focusing on non-comedogenic products Jane Iredale gives you coverage that breathes. Their products are derived from natural ingredients and the quality is kept high to avoid caking your face with mystery products that clog pores and weight down your skin. The light and natural feel of the products ensure that you are not a slave to your makeup and feel just as comfortable when you opt to show your fresh face than you are all decked out. Multitasking: Being in a rush probably won’t go away for me so I need products that can keep up. Jane Iredale has products that are not limited to just one use so you can knock down the application time while boosting the benefit. By combining the function of foundation, concealer, and sunscreen the flawless look does not have to be a long drawn out and complicated process that deters you from wanting to start with the make up in the first place. Finishes: I have purchased more than my fair share of makeup kits that come with one product I use and a couple of extra I never even crack the seal. Jane Iredale offers a comprehensive solution for getting a natural glow that you can start your day off with end your night in with. The foundation finishes range from a sheer due to a velvet cover all depending on your needs. Combined with the finishing spray you are armed with the basics of a look you can rock all day without frequent touch ups or reapplications. If you are wondering why you have never heard of Jane Iredale if it is truly that great it may be because they take as much care in who sales the product as they do in making the product. 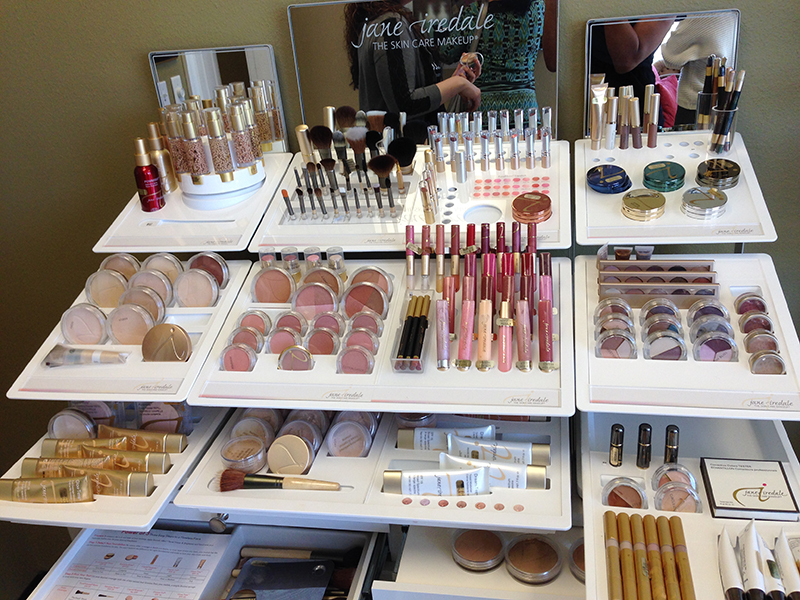 Jane Iredale is primarily sold in doctors’ offices as many of the products are pharmaceutical grade. Luckily you can schedule a consultation with Ashlee at Chic Esthetiq to learn more about the wonderful benefits this product has to offer as well as have a professional application to see for yourself what the Jane Iredale difference is.